If you have not yet received all your plunge incentive items and do not have an email that links to the redemption process please fill out the following form. We will review your submission and get back to you on the status of your incentives. Click a link below to download your SUPER Plunge Resources. Want to make a BIG impact on the lives of Special Olympics Illinois athletes? Imagine the power of your gift when it is doubled or even tripled! One volleyball becomes two. We can train two coaches instead of one. Changing one attitude becomes…how many? You can double or triple your tax-deductible support of Special Olympics Illinois athletes through your employers matching gift program. Matching allows your contribution to double its impact on the lives of our athletes! Check our matching gift list to see if your company matches gifts to Special Olympics Illinois. If you don’t see your company listed, reach out to your Human Resources office to see if they’d be interested in matching your contribution. Donate online, by check or cash and make sure to get a gift receipt as proof of your donation. Individuals looking to donate to the Polar Plunge can do so at www.PlungeIllinois.com. Obtain a matching gift form from your company’s Human Resources Office. Remember, just because your employer isn’t listed here doesn’t mean they don’t have a matching program. Make sure to check with your Human Resources Office to verify. Checks can be written out to Special Olympics Illinois or SOILL. Yes! Our tax ID/EIN number is 36-2922811. How do I track my offline donations? We have created an Offline Donation Tracking form to help you track your cash and check donations. Don’t forget to record all your donor information (name, address, city, state, zip) so that we can issue a tax letter. 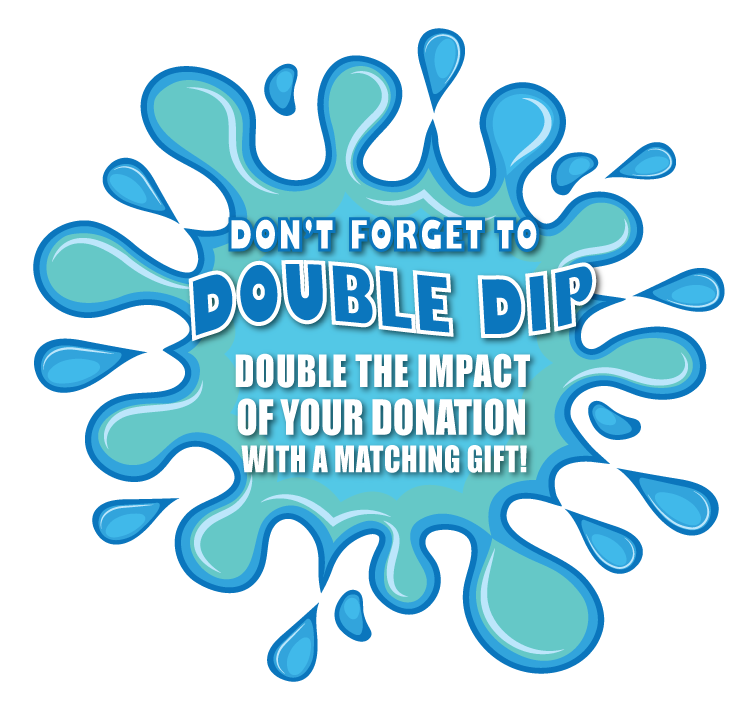 Matching gifts are a great way to raise additional funds for your Plunge. As long as we receive the matching gift paperwork BEFORE the donation deadline (March 26, 2019), you will receive credit for the donation towards your fundraising total and incentive levels. Donate online, by check or cash and make sure to get a gift receipt as proof of your donation. Individuals looking to donate to the Polar Plunge can do so at PlungeIllinois.com. Will my supporters automatically receive a receipt or do I need to request one? Special Olympics Illinois automatically generates receipts for anyone who contributes $100 or more by check, money order, or cash and for whom we have complete and accurate contact information (name and mailing address). You can track and submit your offline donor information by using this tracking sheet. All donations that are made online via credit card automatically receive a donation receipt via email for any amount. For offline donations that are less than $100, please provide one yourself by using our downloadable donor receipts form. Can I utilize Social Media or other fundraising platforms to raise funds towards my Plunge efforts? All online fundraising should be done through the provided Fundraising Page created during the registration process. Funds raised through third-party pages (Go Fund Me, Facebook Donations, etc.) cannot be credited towards your fundraising efforts due to a lack of information provided by those companies when distributing funds raised.